With fashion brands crossing the generational divide, dressing like your mother or daughter has never been so on trend, says Amy E Williams. Word, fresh from fashion month, is that looking – and dressing – like your mother is bang on trend. See Cindy Crawford, 51, and her doppelgänger daughter Kaia Gerber, 16, who were omnipresent at New York, London, Milan and Paris fashion weeks, often wearing similar versions of the same outfit and making headlines by appearing together on the Versace catwalk and in a new campaign for Omega. 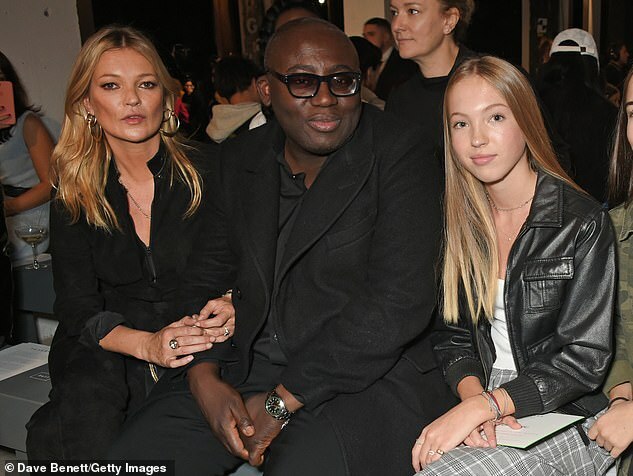 See also Catherine Zeta Jones, 48, and daughter Carys Douglas, 15, who were snapped holding hands and wearing near-identical strappy sandals at Michael Kors’s New York show; or 14-year-old Lila Grace Moss Hack who posed alongside mum Kate Moss, 43, while attending the Topshop show. OK, so not all mums are fashion icons or Hollywood movie stars, but observe your average teen or 20-something nowadays and it seems that there is plenty of street cred to be had in hanging out with your mother – and plenty of points to be won for sharing clothes with her, too. Likewise for mums, dressing like your daughter has never seemed less try-hard or more appropriate. Take the striped cashmere jumper, which has become a sort of national uniform. It is one of several key wardrobe pieces that effortlessly crosses the generational divide. Be it from Marks & Spencer or from current must-have Madeleine Thompson, the cashmere knit looks as good on a 17-year-old as a 57-year-old. The pussybow blouse, the high-waisted jean and the midi skirt were deemed mumsy not so many fashion moons ago – now they can be as much a staple for a recent graduate as a recent retiree, without looking the least bit fuddy-duddy on either. The tailored blazer and the silk bomber jacket are also now ageless items; you’re as likely to see Bella Hadid in the former as you are Mary Berry in the latter. It is no surprise that both high-street and high-end brands are becoming less age-centric and that those creating a generation-less aesthetic are currently among the most successful. Kim Winser launched British fashion label Winser London with customers aged both 21 and 60-plus in mind. ‘It is simply not about age any more,’ she says. ‘Our lifestyles mean we’re fitter longer and the old-fashioned notions of mother, daughter and even grandmother and how their styles might differ seem increasingly irrelevant.’ Kim purposefully hired a team of staff that includes both younger and more experienced people, and many of her customers are two generations of the same family. Yasmin Le Bon designed a recent Winser London collection, which her daughter Amber was also seen out and about in. Catherine Zeta Jones with her daughter Carys. Cindy and Kaia, we note, both look particularly good in a jeans and leather jacket combo. Cindy will skip the crop-top and add a poloneck or white blouse instead – but the jacket and the jeans? They can be identical. Juliet Herd, editor of Hello! 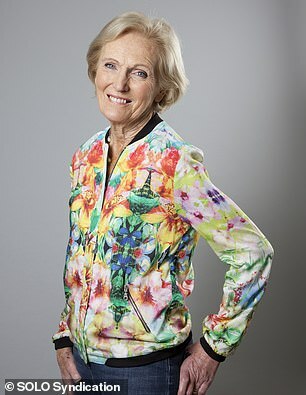 Fashion Monthly, and in her 50s, says she is increasingly dressing like her 21-year-old daughter Elinor. ‘I am dressing younger, but she is quite grown-up in her style, too,’ she says. Carine Roitfeld with her daughter Julia Restoin Roitfeld. It’s not just niche or high-street brands that are tapping into ageless dressing. Gucci’s reinvention under creative director Alessandro Michele has produced a cornucopia of pieces that should be ‘old’ but couldn’t feel younger or fresher. Find us a woman of any age who wouldn’t feel wonderful in one of the brand’s bright cardigans or silk midi dresses. 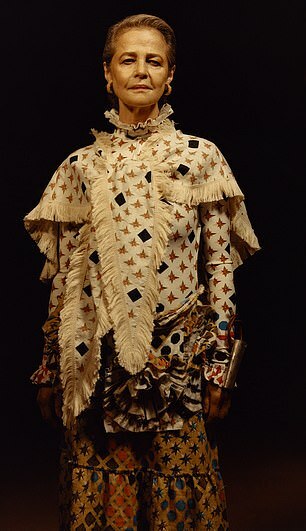 Vanessa Redgrave in her campaign for Gucci. 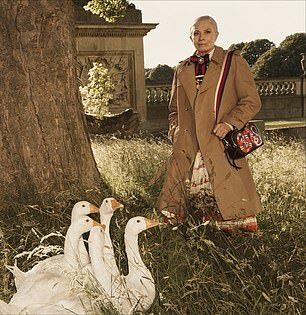 Vanessa Redgrave featured in one of Gucci’s 2016 campaigns, while Charlotte Rampling modelled for Loewe, and mother-daughter duos such as former Vogue Paris editor Carine Roitfeld and Julia Restoin Roitfeld, model Jacquetta Wheeler and her mother Tessa Codrington, and Jerry Hall and Georgia May Jagger have all been courted by fashion houses from Givenchy to Jaeger. The message, perhaps, is that whatever our age we need to forget the shops we’re supposed to be shopping in and embrace brands and styles we simply love – no matter if it’s our much older mother (or a significantly younger daughter) who provides the inspiration. Previous articleMore more Julianne Moore!